Following a disaster, volunteers should wait to respond until they are invited into the affected area. 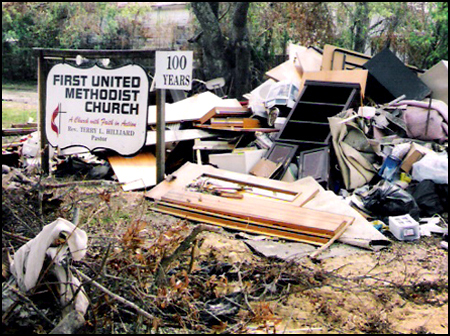 We encourage churches to participate in creating UMCOR kits that are needed following disasters. Do not send items that have not been requested by the affected area. More information can be found on UMCOR's website. Each Conference in the Southeastern Jurisdiction has a Disaster Response Coordinator. Please visit our CDRC page to left or by clicking here to find your conference's coordinator and contact information. Those who have been trained and credentialed may be asked to be part of Early Response Teams (ERT). Contact your conference disaster chair or Conference Disaster Response Coordinator about training. ERT training is available through Annual Conferences in partnership with United Methodist Committee on Relief (UMCOR). Click here to visit UMCOR's training information page. Long-term disaster recovery teams do not have to be credentialed. 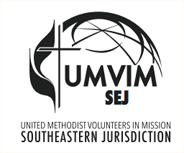 UMVIM, SEJ now has a Disaster Liason on staff. Please direct all disaster-related inquires to Gray Miller, gray_miller@umvim.org.